I don’t have an iPod Video, nor am I likely to buy one considering that I already have a 40 GB third-generation iPod. 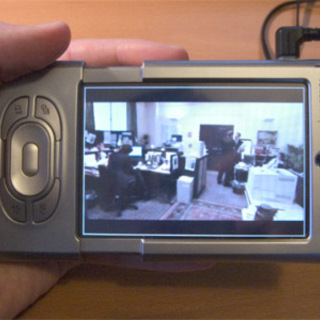 However, the appearance of the tiny-screened iPod inspired me to try transferring video to my Palm Tungsten T3, with its high-resolution 480×320 pixel colour screen. It’s working very well.